When our Urban95 programme began to work with the Municipality of Tel Aviv-Yafo, we initially thought about what programmes and activities the municipality might implement. We have since come to understand that the success, scalability and sustainability of any such programmes and initiatives depend first on building the organisational capacity, mechanisms and political will – mobilising diverse actors to work together on city-wide strategies, and establishing new mechanisms for day-to-day working. To our surprise, Urban95 is turning into a strategic transformation throughout the municipality. 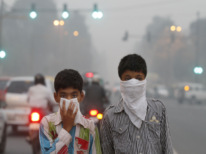 are typically siloed, it also necessitates addressing issues such as transport, air quality, infrastructure and parks, which have a proportionately larger impact on young children than the general populations. Yet children under 5 are often largely invisible in municipal policy and strategy. In the past, Tel Aviv – like other Israeli cities – recognised children as city residents only when they entered the formal preschool education system at age 3. Beyond basic national health services, the question of what cities should do for younger children simply did not come up. Urban planners in Israel have called this age group ‘the black hole of urban planning’, as there are almost no planning guidelines or regulations for them. New parents trying to arrange childcare, find safe and stimulating public spaces to enjoy with other families, or simply get around the city with a baby or toddler in tow, were on their own. When the municipality’s leaders made a strategic decision to work with the Urban95 programme, it was necessary to decide where in the municipal government structure to locate it. While some might have seen social services or education as a natural fit, municipal leaders decided on the newly established Community Administration department, which had the advantage of bringing a fresh start and the potential to integrate issues at the community level. Community Administration appointed an Urban95 Project Manager, funded by the Bernard van Leer Foundation but working as an employee of the municipal government within its organisational structure. Next there was a need to raise awareness among diverse practitioners and decision makers that this had something to do with them. It was not immediately obvious to the City Engineer or Transportation Planner, for example, that they have a potential role as ‘brain builders’ for infants. The Urban95 programme manager’s job description explicitly included working with diverse departments to forge an integrated, cross-sector response to early childhood. With the support of management, and together with the Manager of Community Development, she initiated a ‘municipal road show’ to present Urban95 to key stakeholders within the municipality, from public health to data collection to engineering to parks and recreation. A key turning point came when an interdisciplinary team of municipal managers participated in the week-long Foundation-funded Harvard executive course on leading and scaling early childhood initiatives, including two influential high- level managers – the City Engineer and the Head of Community Administration. The experience was transformative, in part because it was unusual for such a senior cross-departmental group to spend intensive time together, and in part because of the new knowledge the participants gained on brain development and how public space and city management can influence the long-term human development of children. Initial activities were developed and implemented, notably including Digitaf (the name is a play on words in Hebrew meaning ‘digital platform for toddlers’), an extension of the city’s award-winning online platform, Digitel. Digitaf connects parents to services in a streamlined way, from childcare to playgrounds to ‘well baby’ clinics. It also offers parenting tips, in partnership with the Vroom app, including in translations that reach the city’s asylum-seeker community. With banners across the city and over 5000 parents and young children taking over City Hall for the launch event led by the Mayor, Digitaf created awareness not only in the city but also in the city government. Over 18,000 cards to enable access to the digital platform have been issued to children in the first few weeks. However, even with interest and goodwill from other departments, explaining Urban95 concepts was challenging. After the Harvard course, where the team focused on public space, the city announced an extra EUR 3.5 million for playgrounds dedicated for children under 6. The Urban95 team knew that effectively using these funds for early childhood development would require a more comprehensive approach than ordering new playground equipment for this age group, involving landscaping, nature and civic engagement. But there was a limit to how persuasive theories could be: it became clear that departmental managers needed to see and experience such places for themselves. "‘When the municipality’s leaders made a strategic decision to work with the Urban95 programme, it was necessary to decide where in the municipal government structure to locate it.’"
At the request of the Tel Aviv Urban95 Team, the Bernard van Leer Foundation funded a study visit for senior Tel Aviv management, from different sectors, to Copenhagen, Denmark – a city known for being walkable, bikable, people- friendly and among the best in the world for child development. In partnership with Gehl architects and our partners in Tel Aviv, we carefully designed an itinerary and sold the idea to municipal leaders, who had to be persuaded to let several of their top managers go away together for nearly a week. After intensive follow-up work, some results from the study tour can be seen. The parks and recreation manager ordered Tel Aviv’s first nature-inspired public park to be put up, developing a system of seating areas with sand pits to encourage parent interaction with their young children’s developmental play. The manager of the social services department decided to implement home visits for first-time mothers through the municipal health system, and work with the community administration to link well baby clinics with community centres. City leaders agreed to commit additional funds to this new, integrated network of neighbourhood-level spaces for play and parenting support activities, allowing for more paedogogical instructors to be employed and activities to be offered at an affordable cost. 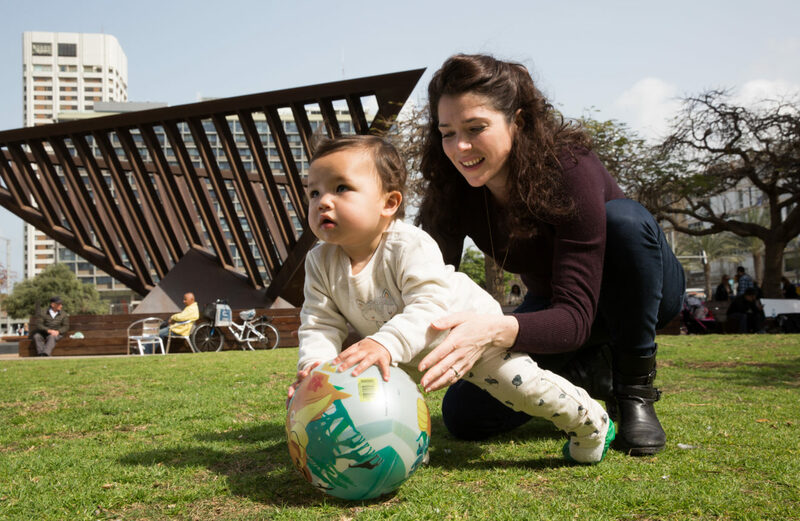 By bringing to life how early childhood development connects to broader agendas, the Urban95 strategy and capacity-building activities widened the tent and created new champions for early childhood in Tel Aviv. The Copenhagen team evolved into a formal steering committee for Urban95, which will take the lead on wider processes now being developed to create a city vision and strategy among a broader set of stakeholders. Engaging middle management and those who will be involved in implementation –to create bottom-up as well as top-down support – is creating joint ownership and cross-sector collaboration, making young children a strategic priority for the city, and developing sustainable underpinnings for scale. "‘By bringing to life how early childhood development connects to broader agendas, the Urban95 strategy widened the tent and created new champions for early childhood in Tel Aviv.’"